Multiple agencies assisted Wednesday in the seizure of 1,000 pounds of methamphetamine at the Pharr port of entry. According to a U.S. Customs and Border Protection news release, the meth and approximately 10 pounds of cocaine were seized from a tractor trailer carrying a commercial shipment of fresh bell peppers arriving from Mexico. 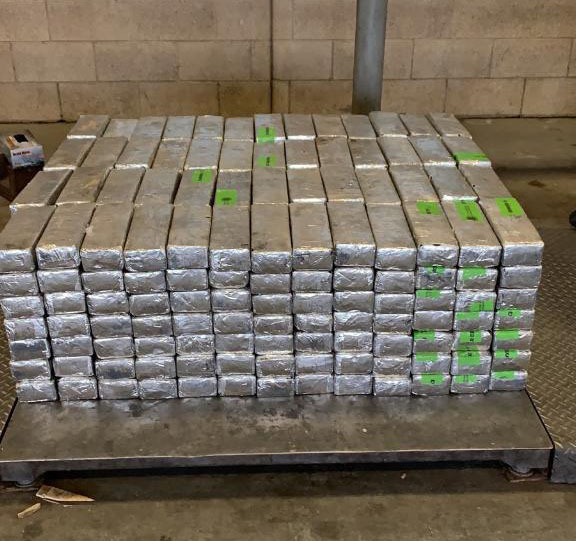 The discovery was made after CBP officers working at the Pharr-Reynosa International Bridge cargo facility referred the truck for further inspection, according to the CBP release, which put the estimated street value at $14.15 million. 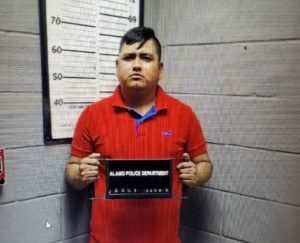 The vehicle’s driver, 32-year-old Jonathon Antonio Armendariz Martinez, was arrested by officers with the Alamo Major Crimes Unit, according to Alamo Police Chief Baudelio Castillo. Armendariz Martinez, a Mexican national, was arraigned Thursday afternoon by Alamo Municipal Judge Celia Garcia, who charged him with two counts of first-degree felony possession of a controlled substance and set his bond at $200,000. An earlier version of this story reported that the seizure was the largest in the Alamo Police Department’s history, information Castillo shared with media at 10 a.m. Thursday, at which time he did not specify the involvement of HSI and CBP, which issued its own release hours later. Asked for clarification, Castillo maintained that the case belonged to Alamo PD, despite assertions by those familiar with the incident that the local police department only assisted. The case remains under investigation by HSI, according to the CBP release. The chief said more arrests could come. Editor’s Note: This story was updated to clarify the agencies involved in the seizure.